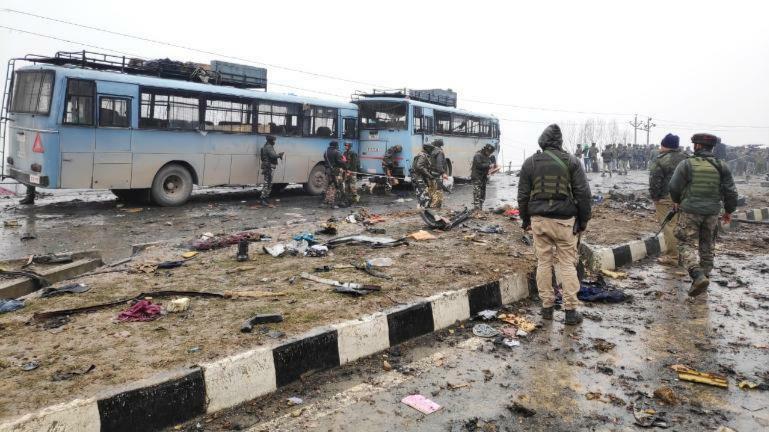 Srinagar, March 11: Almost a month after the deadly Pulwama terror attack, evidence gathered so far reveal that a 23-year-old Jaish-e-Mohammed (JeM) terrorist was the brains behind the deadly strike that left 40 CRPF personnel dead on February 14. According to reports, security officials informed that the militant, identified as Mudasir Ahmed Khan, alias ‘Mohd Bhai’ is an electrician with a graduate degree. Khan, who hails from Pulwama, is believed to have planned the arrangement of the vehicle and explosives that were used in the terror strike. Pulwama Terror Attack: Here’s What We Know So Far About The Suicide Attack That Killed 43 CRPF Jawans in Jammu And Kashmir. A report by PTI informs that after completing his graduation, Khan did a one-year diploma course as electrician from an Industrial Training Institute (ITI). Khan is also believed to be involved in the terror strike at the army camp in Sunjawan in February 2018, in which six personnel and a civilian were killed. Khan’s role in the terror strike also surfaced in the Lethpora attack on a CRPF camp in January 2018 that left five CRPF personnel dead. The National Investigation Agency (NIA), which is probing the Pulwama terror attack, had carried out searches at the residence of Khan on February 27. According to a report by PTI, Khan, who is a resident of Mir Mohalla of Tral, had joined the Jaish-e-Mohammed sometime in 2017 as an overground worker. Pulwama Terror Attack: Terrorists Are Deploying Car Bombs to Increase Scale of Destruction. The young man was later drawn into the JeM fold by Noor Mohammed Tantrey, alias ‘Noor Trali’, who is believed to have helped in the revival of the terror outfit in Kashmir Valley. Reports inform that after Tantray was killed in December 2017, Khan disappeared from his home on January 14, 2018 and has been active since then. Pulwama Terror Attack: Here’s What We Know So Far About The Suicide Attack That Killed 40 CRPF Jawans in Jammu And Kashmir. On February 14, suicide attacker Adil Ahmed Dar, who blew his explosive-laden vehicle next to a bus in a CRPF convoy, had been in constant contact with Khan, officials informed. Also, the Maruti Eeco minivan which was used in the terror attack was bought by another JeM operative just 10 days before the strike. The JeM operative, who brought the car was identified as Sajjad Bhat, a resident of Bijbehara in south Kashmir, has since been on the run since then.